Project: Timber rejuvenation works to timber stairwell and timber BBQ and entertainment area above the garage of the rear yard. 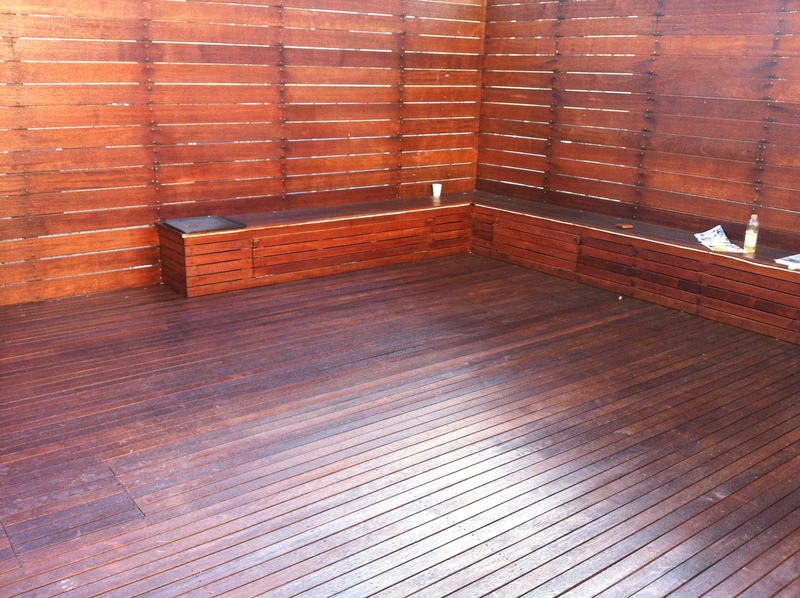 The timber was left for several years without treatment, the entire timber area was pressure washed thoroughly with timber cleaning treatment from our specialist product range. Followed by drying time and three coats of timber moisturising and nourishing stain in Merbou colour. An amazing transformation in just a few days.